Outro Showed My 29-Month Sub As New?? After watching today's amazing 9-hour playthrough of Metro Exodus in its entirety, plus the outro, I noticed that oddly my continued Prime sub was counted as "New Sub" and wondered what happened there? Upon checking my Subscriptions it confirms my total sub time at 29 months (and when I chat it shows a 2-year badge). 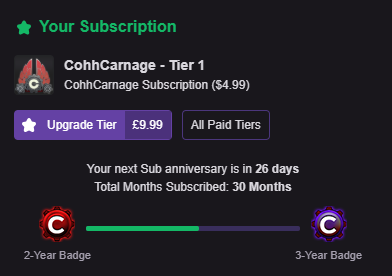 I didn't get the Twitch option this time to share my anniversary, starting to wish I didn't use Prime lol. 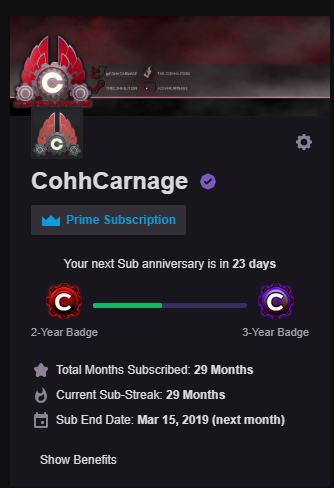 Also, my Cohh achievement hasn't unlocked 'Subscribed 24 Months' yet I share every time I sub that I can recall atm. 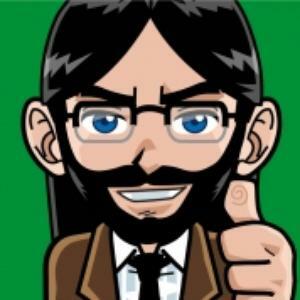 The (re)subscription that you performed today was marked as a new"sub" according to Twitch and the system processed it as such. Thus you didn't get to leave a message with your subscription. The system does show the preview message from the 9th with the streak of 29. This should of triggered your 24 month achievement, but it clearly has not I'll investigate this for you and see what I can find out. Likely the mass resubscriptions from the cumulatives starting up has tripped something weird. When Twitch pushed out cumulative something did indeed break. I've repaired this and next time you share a subscription it will sort itself out! Last months sub month count correlated with twitch and very pleased that you (BarryCarlyon) fixed this. This month I subbed as per usual, but this time didn't use my Prime and paid for tier one. Method of payment shouldn't matter but note the same issue cropping up as per the OP so maybe Twitch updated API again?? 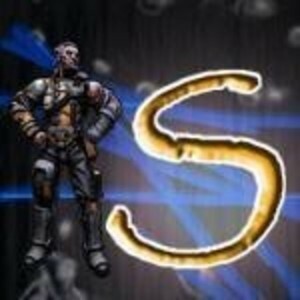 Twitch stated on the 11th March that you declared a ReSub for 30 months. Twitch stated on the 16th March that you declared a new Subscription. There is nothing I can do, Twitch literally told me it was a New Subscription. Hence you won't have been able to "share" it as a ReSubscription with a message.